Ah-one, ah-two, and break out the bubbles: In June, the national spotlight shines on the accordion. who established it in 1989, then got San Francisco to make the accordion the city’s official musical instrument the next year, though not without a protest by kazoo players. 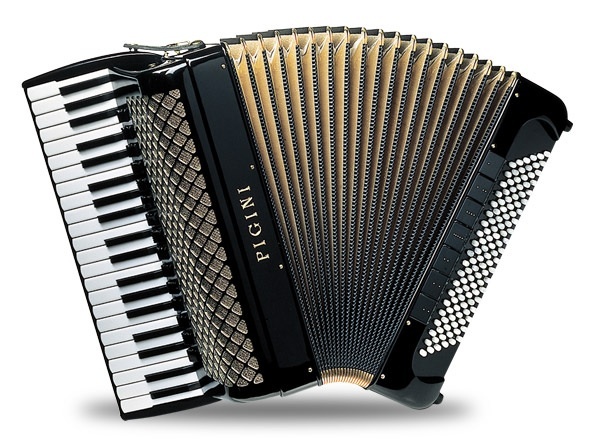 It’s fitting that the observance originated in The City, because Guerrini Accordion Co. produced the first U.S.-made piano accordion there in 1907. That’s the type that looks like it has piano keys on one end. People loved it. An accordion virtuoso, Guido Deiro, even developed a style called “Frisco Sound,” playing dates all over the West – and playing the real-life husband of actress Mae West. Even the U.S. Air Force Band recruits an accordionist for its Strolling Strings unit. The position requires at least a four-year enlistment, and it pays full military benefits and 30 days’ vacation a year. How could anyone bad-mouth an instrument that lets you feel the music in your chest as you play it? After all, June 1 was National Say Something Nice Day. “Gangnam Style” accordion-style, a rocking complement to Psy’s original. “Danza Kuduro,” a sweet version of Don Omar’s reggaeton hit. “Wrecking Ball” – is it Miley Cyrus, or is that an accordion? Queen’s “Bohemian Rhapsody” for the squeezebox.